dealer safety and environmental programs and practices.  Road tests vehicles to ensure repairs are completed properly. painting department, and per agreed upon estimate.  Collects all necessary information before requesting additional parts.  Protects customer’s vehicles at all times and specifically avoids storing parts or equipment in it. that rain and dust does not enter it.  Meet or exceed productivity goals and fix-it-right objectives.  Notifies manager or shop foreman promptly when undiscovered damage or other delays occur. training to enhance job skills.  Maintains cleanliness of the customer’s vehicle.  Submits all claims promptly.  Promotes a productive working relationship with others.  Actively listens to concerns; takes action to respond to others’ needs.  Speaks clearly, concisely, and effectively.  Has an approachable style; fosters open communication through active listening.  Assists other technicians when requested.  Successfully performs overlapping tasks or jobs.  Listens to and supports new ideas and approaches; adapts to change quickly.  Maintains composure when faced with multiple demands.  Meets or exceeds flat rate time allowances.  Effectively handles and implements changes in Collision Center Department.  Effectively handles and implements changes in the Collision Center.  Makes decisions regarding repair options; asks for assistance if necessary.  Takes necessary steps to minimize time spent waiting for parts, add-on or authorizations, etc. ensures facility is clean and organized at all times.  Performs factory warranty repairs according to established procedures.  Follows all hazardous waste and OSHA safety regulations and company policies.  Stays up-to-date on the latest technical services through training, vendors, etc. what type of diagnosis is needed.  Properly disposes of used parts and returns unused parts to the counterperson.  Uses manuals including diagrams as necessary to complete repairs. 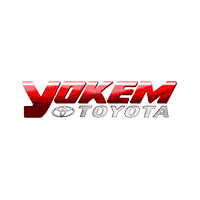 vehicles and appropriate manufacturer information for non-Toyota vehicles.  Completes time ticket correctly.  Returns special tools and reference materials to their designated locations.  Follows safety rules and regulations.  Completes warranty repair orders according to policy. ethical standards set by the company. situations, and settling disagreements by objectively analyzing viewpoints. formulate the best course of action. input information, and being able to locate and identify problems encountered on the job. using dealership resources, such as tools, electronic and drive-ability equipment, to perform the job.